Irish potatoes have been a St Patrick's Day tradition in the Philadelphia area for over a hundred years. 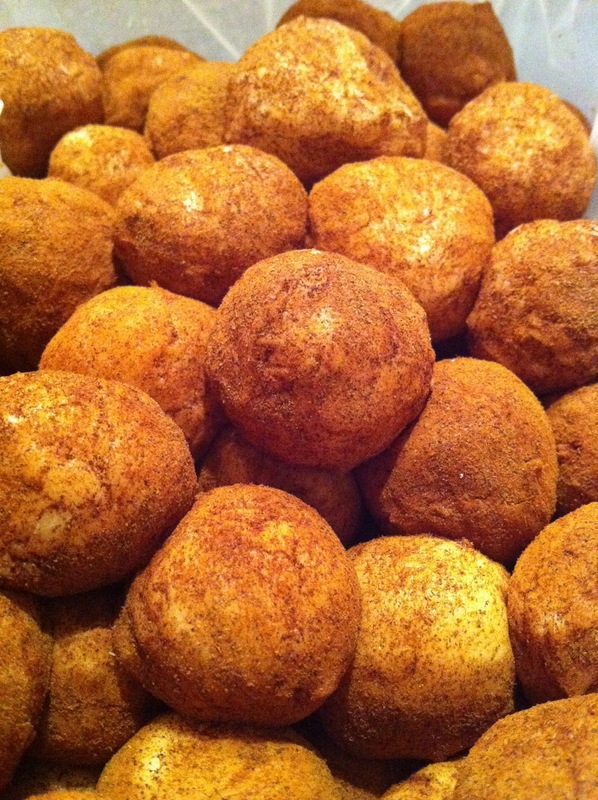 Not to be confused with their tuberous cousins, Irish potatoes are delicious sugary coconuty concoctions coated in cinnamon. Most everyone I know who lives outside southeastern PA has never heard of them, so in the spirit of the patron saint of Ireland I have decided to spread the gospel to the pagans by sharing my mom's secret recipe. After on taste, you'll be converted. Blend everything together with a spoon and then knead with hands until smooth. Form into balls and roll in cinnamon.